Pain is different for every patient. Finding the source of your pain is the first step to treating the pain properly. We offer a variety of diagnostic testing procedures that help us diagnose and treat your pain symptoms accurately and effectively. Rather than only masking the pain with medications, it is important to first find the proper diagnosis and treat the problem correctly. In order to get a proper diagnosis, our providers use diagnostic testing to identify the exact cause of your pain. Advanced diagnostic testing can help you find answers. It creates more efficient options for treatment. 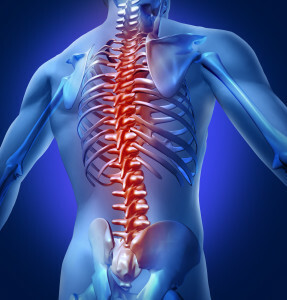 Whether you are suffering from chronic pain or acute pain, a variety of treatments are available. Our providers will work with you to identify the cause of your pain and treat it accurately. The first step to diagnostic testing is having the initial physical examination and obtaining a patient’s full history. After that, more diagnostic options are available that are catered to your unique diagnosis. Some diagnostic treatments include, EMG/nerve testing, lumbar and cervical discograms, MRI/Xray imaging, and diagnostic nerve blocks. For more information, please contact us and continue following our posts for more detailed descriptions of diagnostic treatments/procedures that we offer at our pain center in downtown Reno.